The 2x2 5-element Yagi Stacked Array on Hamsphere has been specially designed from the scratch keeping in mind the special requirements of HamSphere. Unlike what many believe, optimal stacking of antennas to leverage good performance is not a trivial task. Achieving spurious lobe control, good F/B ratio along with controlled takeoff angle and optimal gain are often conflicting requirements. HamSphere 2x2 5-el Yagi Stacked Array has a clean radiation pattern with excellent gain and narrow beamwidth. The gain has been optimized at the cost of slightly enhanced side-lobes. 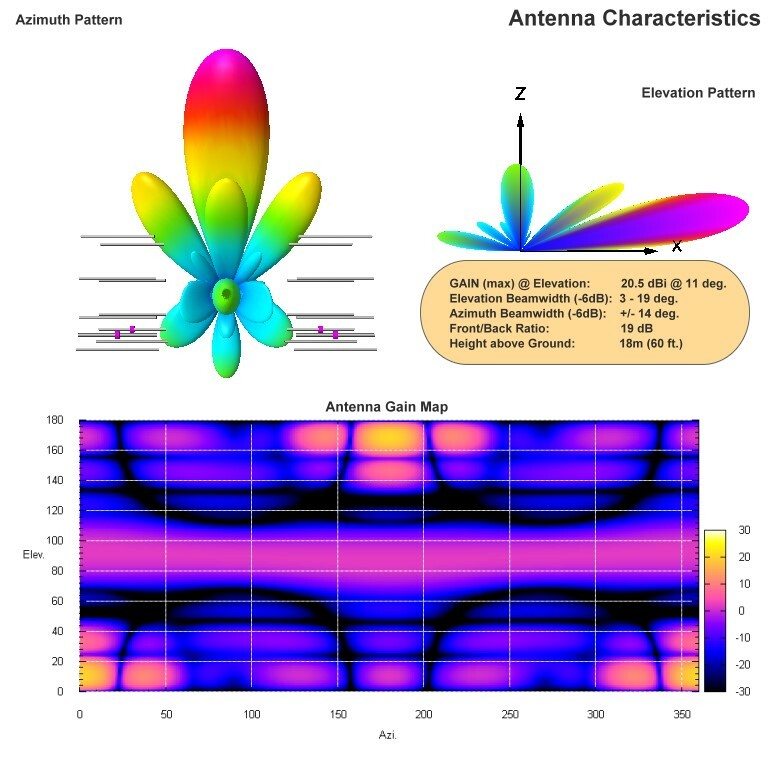 Side-lobes are essential attributes of any kind of antenna stacking. On HamSphere, a slightly enhanced side-lobe works to out advantage. It allows operators to listen to stations at broader azimuth angles. The primary (major) lobe of the stack is however fairly narrow. It is only +/-14 degrees (-6 dB). By its very nature stacked arrays are mono-band antennas. This antenna array deployment on various bands has been done at an optimal height for the band in question. We have ensured that lower band versions are deployed at higher height above ground. 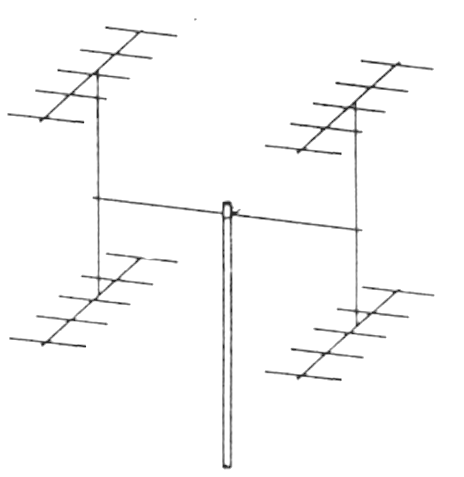 Essentially, the 2x2 5-el Yagi Stacked Array series are primarily DX antennas featuring low take of angles on all bands including the most difficult 160m band. The gain has been pegged at a colossally high value of approximately 20 dBi on each band. Please see the detailed specifications below for more information.